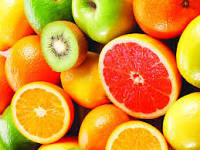 Citrus fruits, and oranges in particular, are an integral part of Florida’s economic and social life. If one grew up in the Sunshine State, one would come to experience the breeze of this tree on a hot summer day or notice the germination of the fruit in late spring. Oranges, if left to flourish could result in a thick skin with a sweet core. Over the past several years, the canker disease has prevented oranges from achieving their saccharine flavor. The infection, which can quickly spread from tree to tree, causes the fruit to shrivel, brown, and prematurely die. Similar to the canker disease, the Florida “Stand Your Grown” law has prematurely shortened the life and possibilities of black life. By allowing Floridians to use deadly force upon someone they are confronted with, the legislation justifies the actions of racist vigilantes to cause harm upon a budding fruit. Whether it is Lorraine Hansberry’s play Raisin in the Sun or Abdel Meeropol’s poem “Strange Fruit”, the impetuous forces known as structural racism have taken many forms and prevented African American youth from bearing fruit. Lorraine Hansberry speaks of Beneatha’s struggle to achieve an education in a system that continued to segregate black and white students. Both Hansberry—the writer—and Beneatha—the protagonist—refused to “fester like a sore”. Similarly, “Strange Fruit” encapsulates the overt violence of lynching in the United States South. It became a protest song most associated with Billie Holiday but had been sung by many others. Both of these creative productions became revered because of the working class consciousness within and outside of the black community. Hansberry was an African American woman who struggled to write and organize in New York City during the burgeoning Civil Rights movement. In addition, Meeoropol was a Jewish and Communist Party member from the Bronx who worked in solidarity with his black sisters and brothers. They used the fruit metaphor to express their irascibility with U.S. racism, unequal education system, and capitalism. For them, the disease did not emerge from the citrus itself but from the wave of violence that was justified and sanctioned by Jim Crow law. Like the canker disease, the “Stand your Ground” law is an external force that prevents the person of color from ripening. If the state of Florida cares as much as it does about the agricultural industry as it does its black and brown citizens, it would rid itself of a legislation that fails to give people of color the opportunity to flourish and realize their potential.